Season 2 of The Flash comes to an end with Zoom’s master plan becoming clear and Team Flash having to find a way to stop him. Let’s talk about Zoom! He has been a problematic villain to say the least. At the beginning of the season he was a mysterious and menacing presence but he lost much of that when it was revealed that his plan was simply to steal Barry’s speed and become the fastest man in the Multiverse. It’s a simple plan sure but it’s also far too close to what Reverse Flash wanted last season. Most of what made Zoom interesting was structured around who he was after that. There were several hints and teases throughout the season but it was eventually revealed that he was really the man we know to be Jay Garrick though his real name was Hunter Zolomon. This reveal made him marginally more interesting as Team Flash had to deal with a threat that essentially came from within. It felt like a betrayal because they had put their trust in him and Caitlin had started to come around to the idea of letting herself love again after losing her husband. The problem with this reveal is that it was also a little too similar to Reverse Flash who also started out as Barry’s ally and mentor before being revealed to be the villain of the piece. Reverse Flash was far more interesting because we saw him manipulating the situation while Team Flash went on with their lives completely unaware of what he was really doing or what his true agenda was. When all the reveals happened it all mostly added up and made sense. In contrast, Zoom had a tendency to come and go which meant that there was no real urgency to the threat he represented. Similarly Jay would vanish for multiple episodes at a time so his relationship to Team Flash was never properly established. It was clear that the writers were emphasising this through dialogue later because they hadn’t developed him as a part of the team properly. You may be wondering why I’ve given a whole season retrospective of Zoom. I feel the need to contextualise his role in the season before going on to talk about how this is all wrapped up. It turns out that he has a plan to use a device called a stolen Mercury Labs device called a Magnatar to take Speed Force energy and destroy the entire multiverse except from the Earth that he’s currently on. Basically his plan is a much smaller scale version of “Crisis on Infinite Earths” but it doesn’t have the weight it did in the comics as we aren’t really invested in the other universes due to a shortage of characters that represent them. I’m glad that his plan doesn’t involve destroying Earth-1 as well because Zoom lives in the Multiverse and destroying all of it would also destroy him. He is many things but suicidal isn’t one of them so as villain plans go it doesn’t really get much bigger than this. The problem I have with it as a plan is that it doesn’t come from anywhere. He mentioned last week that he was up to something that Team Flash didn’t know about which led to Cisco having a vision of Earth-2 being destroyed and now we’re here. It makes a kind of sense given Zoom’s desire to be the fastest man alive as that only gives him one universe to worry about with no possibility of a faster Speedsters being created on Earth-27 for example but almost no time has been spent building to this. Destroying all universes but one is a concept that none of us can really fathom so there has to be some kind of emotional grounding to make this whole thing work. This episode completely lacks that beyond the fact that Harry and Jesse will lose their world which the episode chooses not to dwell on. The sheer scope of the suggested destruction is unimaginable so it does feel like a bit of a cartoonishly illogical supervillain plot. I also didn’t really buy the idea that Earth-1 is the jumping on point for the entire Multiverse considering this Earth is an alternate reality from what is “supposed” to happen as it is. Does that mean that the world shown in Batman V Superman: Dawn of Justice is an offshoot of this one? Does this also apply to the comics? 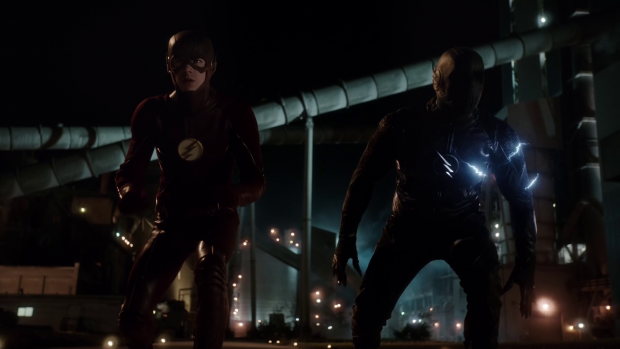 Zoom executes his plan by challenging Barry to a race that proves once and for all who the fastest is with the added bonus of charging up the Magnatar with all of the energy being created. The execution of the race itself is clumsy at best with lots of commentary from Harry to explain what’s going on. When lines like “He’s powering up the Magnatar” are needed to make things clearer then something isn’t quite working. 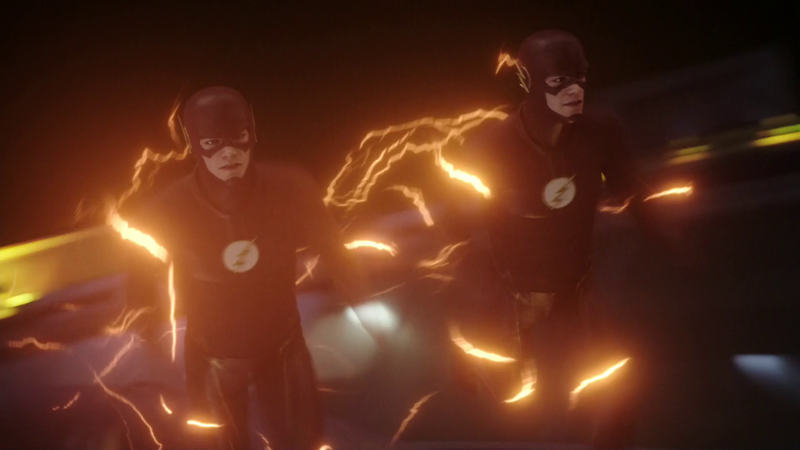 It all gets more confusing when Barry creates a Time Remnant to give him an ally against Zoom. The show has never made it clear how the whole Time Remnant thing actually works despite the attempt to explain it after the fact. In terms of what we actually see on the screen it basically looks as if stuff happens and then Barry wins which dramatically isn’t all that interesting. It also allows for the hero to sacrifice himself without actually being killed so it feels as if the writers are trying to have their cake and eat it too. It might be interesting to explore whether the Barry that survives is the original or the remnant but maybe it makes no real difference either way. At least Barry makes it clear that it’s not something he can do all the time but what are the circumstances that let him do this and how did he know it would work? Zoom’s defeat is also pretty poorly done as it relies on an ill developed idea from earlier in the season. 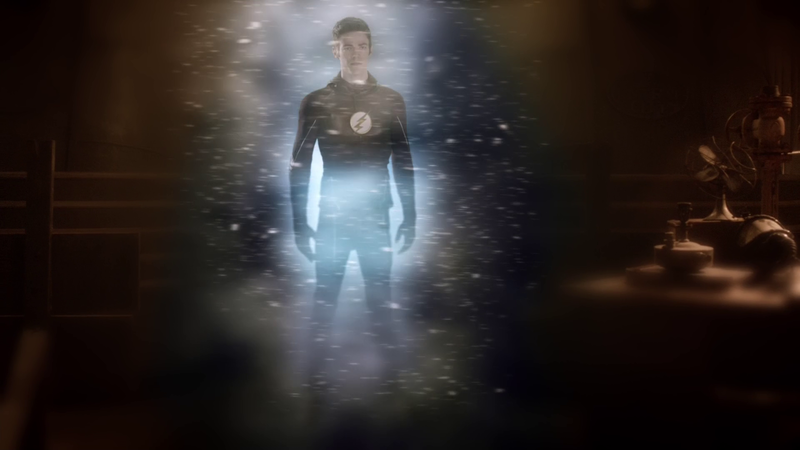 Barry making the assumption that creating a Time Remnant will attract the Time Wraiths who would hopefully be more annoyed with Zoom than they are with him doesn’t really work. Considering all of the trips through time Barry has taken he had no reason to assume that they would turn up this time since it only happened once before. It just feels far too convenient for this all to be wrapped up neatly in this way plus there’s no real weight to Zoom’s defeat. The episode was building up Barry gaining some sort of moral victory over Zoom by proving that they are nothing alike but that doesn’t really happen either. 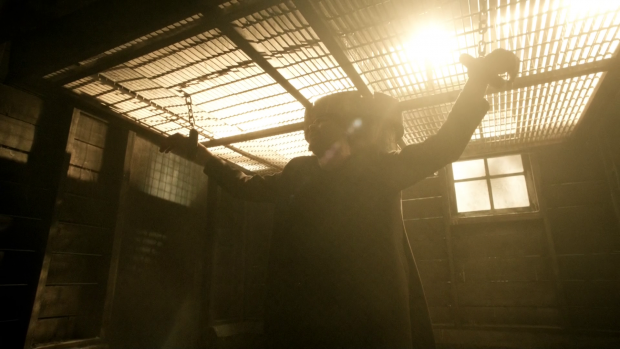 Where did the Time Wraiths take him and will he survive to threaten Barry again? Leaving things open could be compelling but this was just weak. 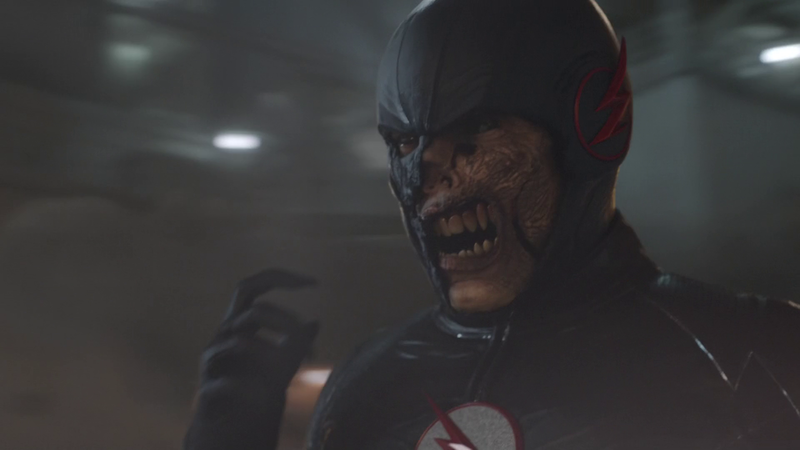 Zoom did look a lot like the Black Flash when he was being taken away so maybe his role will shift to that in the future. 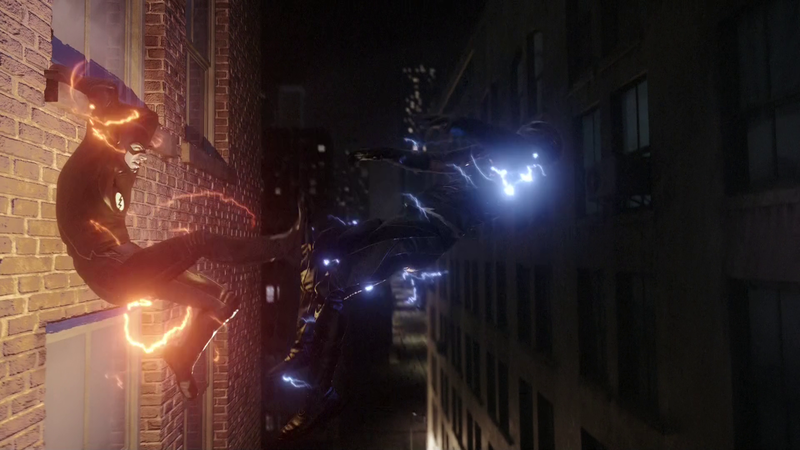 Parts of Barry’s conflict with Zoom are really well done though. Barry’s reaction to the death of Henry at the hands of Zoom was really raw and visceral. Grant Gustin did a great job showing this and the way that he mercilessly goes after Zoom while clearly in a lot of emotional pain added real depth to the conflict. Zoom killed Henry to prove that he is a darker image of Barry and that he has those same impulses within him but Barry somewhat proves him wrong by hesitating when he has the opportunity to kill him. Zoom created another Time Remnant in case he happened to be right about Barry so it almost doesn’t matter but I imagine the effect on Barry would have been profound if he had killed Zoom’s duplicate. 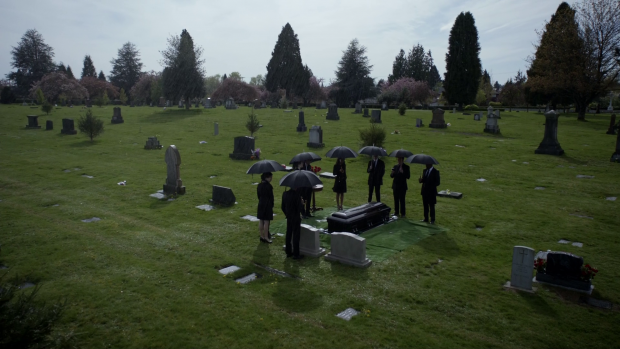 Barry’s grief informs his behaviour throughout the rest of the episode. It’s obvious that he isn’t thinking clearly and is letting his emotions get the best of him. When Zoom challenges him to a race he instantly accepts and fully intends to kill him as well as beat him. Barry is consumed by rage and a desire for revenge with nothing being able to bring him back from that. His conversation with Joe where concern is expressed over Barry’s emotional state shows how Barry’s priorities differ from the rest of the team. Joe gives him a chance to calm down and approach this more rationally but Barry is so consumed by revenge that he doesn’t listen which forces Harry to knock him out and the team lock him in a cell. The whole thing plays out as if it’s some kind of intervention which seems appropriate considering how unhinged Barry is at this point. It’s interesting how drastic a change this is from being more focused after putting his mother’s death behind him only two episodes ago. Henry’s death knocking him completely off his game makes a lot of sense considering how close they were and I believed that his desire for revenge was genuine under the circumstances. 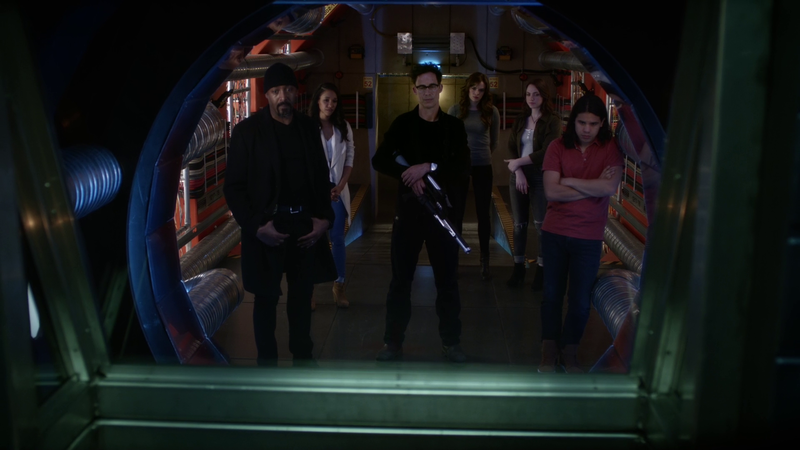 The rest of Team Flash locking him in a cell while they hatch their own plan to stop Zoom was a good idea as it allowed us to see how they work without the benefit of having the Flash helping them. 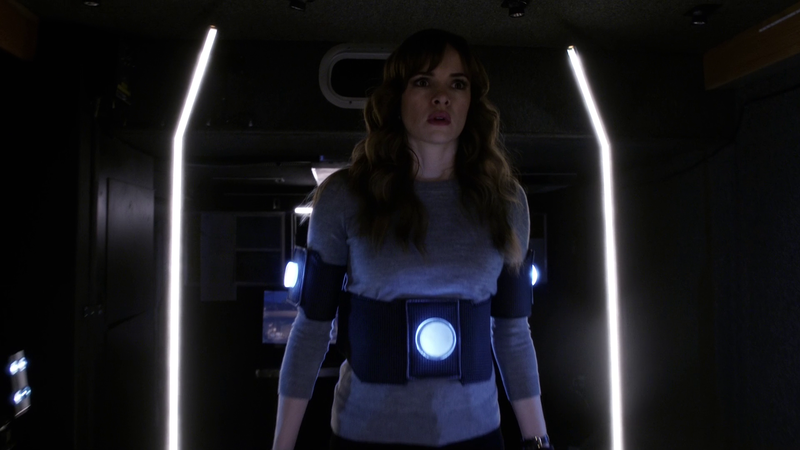 Using Caitlin to throw Zoom off balance worked really well and I’m glad that they were smart enough to use the hologram projector rather than put Caitlin directly at risk. The only way the plan goes wrong is when Joe’s tranquiliser gun jams and he has to get close to Zoom which gets him pulled into Earth-2. This was a great example of showing how well the team can work together when everyone is playing to their strengths. Joe’s capture gives Zoom the opportunity to drop some exposition on us that reveals the identity of the Man in the Iron Mask. He tells the story of how his obsession with getting faster is slowly killing him which we already knew but he also talks about how he has the ability to open up breaches to other realities. We saw this last week but if he had that ability all along then why was he waiting for Cisco to let him back into Earth-1? Could this be the birth of Black Flash? His travels led him to Earth-3 where he meets a version of the Flash called Jay Garrick so I will take this opportunity to gloat about my ability to guess that this would be the case. Bringing Jay to Earth-2 makes no real sense though and the vague explanation of wanting to steal his speed at a later time also doesn’t quite work since he could have got Harry to do that long ago. The further reveal that Jay Garrick from Earth-3 looks like Henry Allen was something I didn’t quite see coming though I should have given the reference to Garrick being Henry’s mother’s Maiden Name. On a meta level it’s good to see John Wesley Shipp as the Flash again even if his costume looks utterly ridiculous. When Zoom’s time remnant was pretending to be Jay the costume looked a lot better but the one worn by the real Jay Garrick looks awful. I imagine Earth-3 is a much goofier looking universe based on this. I do look forward to seeing that but now that we have 4 Earths to consider –including the one that Supergirl is set on- the writers had better be careful that this doesn’t completely spin out of control. On an emotional level the reveal of Jay Garrick works really well. Barry objectively knows that this isn’t his father but he also can’t deal with the fact that he looks and sounds exactly like him. He does handle it maturely but not telling Jay that and seeing him off with a hero to hero sort of mutual respect. Barry’s private breakdown after the shock of seeing him is excellently played and Joe coming to support him was a nice touch as well. The character moments are where this episode really shines. Harry and Jesse’s goodbye to the Team when they return to Earth-2 manages to be sincere without crossing the line to overly sentimental. I hope this doesn’t mean that Tom Cavanagh is leaving the series as he’s just too good a presence in this show to not have around. Would the real Jay Garrick please stand up? Harry and Jesse’s scene together where they talk about what happens next was great as well. There haven’t been many father/daughter bonding moments for them which is a shame as they have a natural chemistry that feels familial when they interact. I like that Jesse reminds him that she has a life on Earth-2 as it would be so easy to assume that she popped into existence when the show needed her from a narrative point of view. Having her want to return home adds depth by showing that she has a life. At that point in the episode Harry has still to decide where he wants to be as he has proven useful to Team Flash with no apparent ties to his own universe other than his daughter. The ending was an interesting shock. After losing his father and being faced with an exact duplicate Barry is completely broken to the point that he can’t see a way to improve his emotional state. 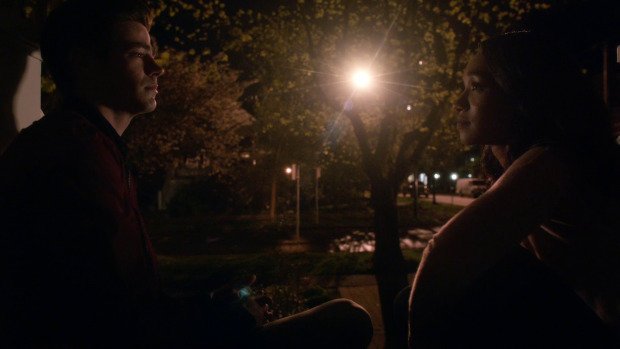 His conversation with Iris highlights this while addressing the lingering issue of their relationship. Barry is so distraught that he can’t imagine having anything to offer her which Iris accepts while promising to wait for him. As well as this was handled I won’t be able to tolerate too much of this game of tennis between their availability. For now it’s fine but it definitely isn’t something to lose sight of. Barry’s decision to travel back in time and save his mother was not something I was expecting but it makes sense given how Barry feels. He sees no other way to improve his situation other than resetting it and hoping for a better outcome. It’s a very emotional decision and clearly a mistake but I think it’s fine for Barry to make that mistake. Seeing his younger self from “Fast Enough” vanish once he makes the change definitely shows that things are going to be very different but is that a good thing? It should be noted that this is pretty much the exact same circumstances that created the comic book story “Flashpoint” so I’m hoping that next season will adapt this in some way. Given that we have already been teased with a Supergirl, The Flash, Arrow and Legends of Tomorrow mega crossover so it’s possible that this will be what kicks it off. For an idea of how this could play out, I would suggest watching the animated film Justice League: The Flashpoint Paradox. 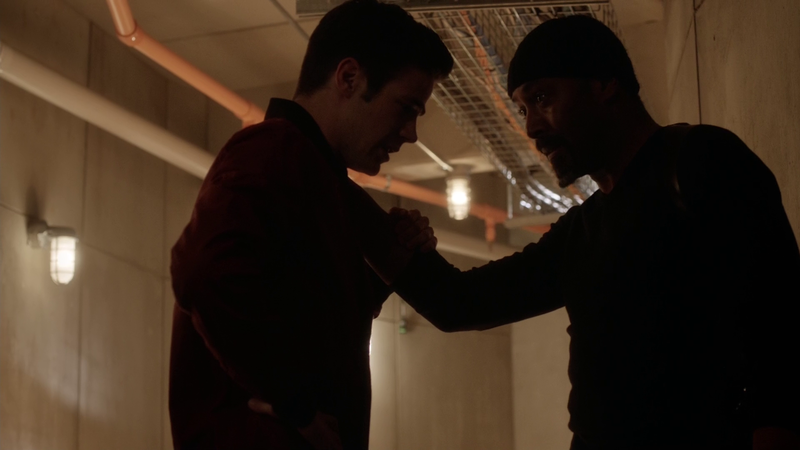 I’m guessing that whatever Barry experiences as a result of his actions here will lead to him warning himself against intervening as shown during the events of “Fast Enough”. If done well this will be a really brutal exploration of the dangers of time travel instead of simply telling us that it’s dangerous to change the timeline. I wonder if Arrow, Legends of Tomorrow, Earth-2 and Earth-3 as well as the Earth seen on Supergirl will be affected by this but I suspect that they won’t. Nora Allen’s alive – this can’t be good! Whatever happens with this it was a really effective cliffhanger and a powerful showing of the emotional toll recent events has taken on Barry. Grant Gustin’s performance of a man slowly unraveling across the episode was excellent. An uneven episode that mishandles the defeat of Zoom in a really big way. His master plan to destroy the Multiverse has no real emotional grounding and the stakes feel ridiculously high so it’s very difficult to invest in the situation. The powerful performances and well executed character moments are where the episode really shines but it gets bogged down in the detail of everything else. 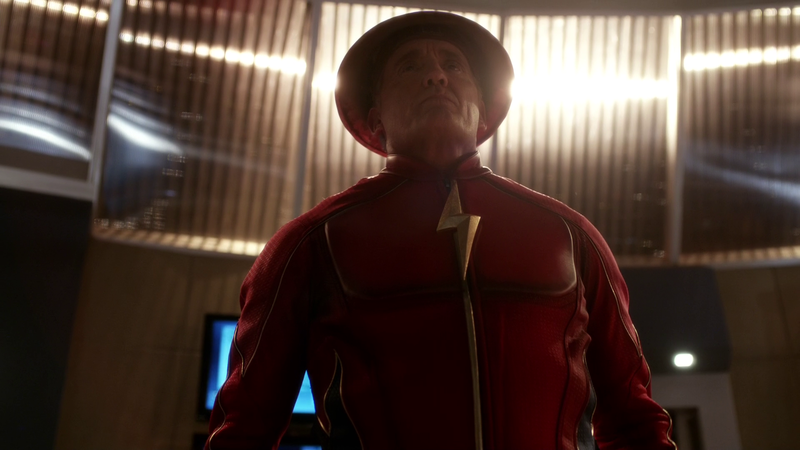 Barry’s reaction to the real Jay Garrick looking exactly like his father is great and watching him unravel over the course of the episode is handled well leading to a really effective cliffhanger that hopefully leads to an adaptation of a really compelling comic arc. As seasons go this one wasn’t as good as season 1 but it was also a lot more ambitious. The introduction of the Multiverse as a concept was done well for the most part but didn’t get the development that it really should have. The season really suffers from a much weaker villain than last season which means that it struggles to maintain momentum. Tonally this season was a lot darker which fits what is going on but much of the appeal of the first season was that it was a lot of fun to watch with angst kept to a relative minimum. There was much more focus on the emotional turmoil felt by the characters and an overall sense of too much being introduced. In essence the season started to crack under the weight of itself. Hopefully season 3 will return to something resembling the tone of the first season and concentrate on being a really fun superhero adventure series with a tight focus on the strong characters as well as a compelling story. Time will tell. There were some really great episodes during this season and my personal highlights were “Gorilla Warfare“, “Enter Zoom“, “Welcome to Earth-2” and “King Shark“. All of those episodes show the potential of this show to be both fun and emotionally investing. 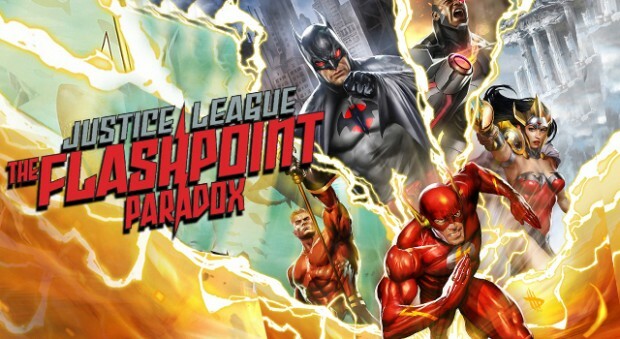 Let’s hope for a more fun season 3 but first I’d like to see Flashpoint.